The notorious sales goals at the heart of the Wells Fargo scandal bear similarities with the flawed compensation systems that fueled the mortgage crisis, a top Federal Reserve official said. The "widespread fraud" at Wells Fargo shows the "powerful role -- for good or bad -- that incentives can play," New York Federal Reserve president Bill Dudley said in a speech in London on Tuesday. Dudley noted that Wells Fargo (WFC) paid neighborhood bankers based on how many new accounts they opened, "apparently with utter disregard for whether customers wanted or even knew about them." Regulators have said that Wells Fargo opened as many as 2 million fake accounts in an effort to meet wildly-unrealistic sales goals that have since been scrapped. Some employees who tried to stop the illegal activity have alleged they were fired in retaliation for speaking up. The scandal shook Wells Fargo to its core, leading to the sudden retirement of longtime CEO John Stumpf, countless investigations and a stain on the 165-year-old bank's reputation. "Like mortgage brokers in the early 2000s, it appears that job security depended almost exclusively on meeting targets, regardless of how those targets were met," Dudley said in a speech titled "Reforming Culture for the Long Term." The mortgage crisis too was fanned by flawed incentive systems that encouraged brokers to churn out as many home loans as possible, even if the borrowers couldn't pay them back. Some mortgage brokers were even rewarded for putting borrowers into higher-cost loans that would earn them fatter fees. At Wells Fargo, former employees have blamed the bank's internal goal of opening eight products (debit cards, credit cards, mortgages) per household for fueling bad behavior. Trying to meet these targets, some Wells Fargo employees impersonated customers by putting in fake email addresses such as 1234@wellsfargo.com. "The sales pressure from management was unbearable," Bertrand said. Warren Buffett, whose Berkshire Hathaway (BRKA) is Wells Fargo's largest shareholder, told CNN in November that Wells Fargo made a "terrible mistake" by keeping in place sales goals that "corrupted people." In a statement, Wells Fargo said it's "committed to rebuilding trust by making things right with our stakeholders, fixing problems we identify and building a better bank for the future." Wells Fargo added that it is doing a "top-to-bottom review" of sales practices in all of its business lines to correct any potential problems. Wells Fargo eliminated its infamous sales goals within days after the scandal broke, replacing them with new targets that the bank says emphasize customer satisfaction and feature added oversight and accountability. While Wells Fargo has apologized for its mistakes and sought to repair its relationship with customers, real damage has been done. Credit card applications at Wells Fargo plunged by 55% in February, the bank said this week. Wells Fargo said it plans to launch a new marketing campaign next month after ramping up advertising in February. 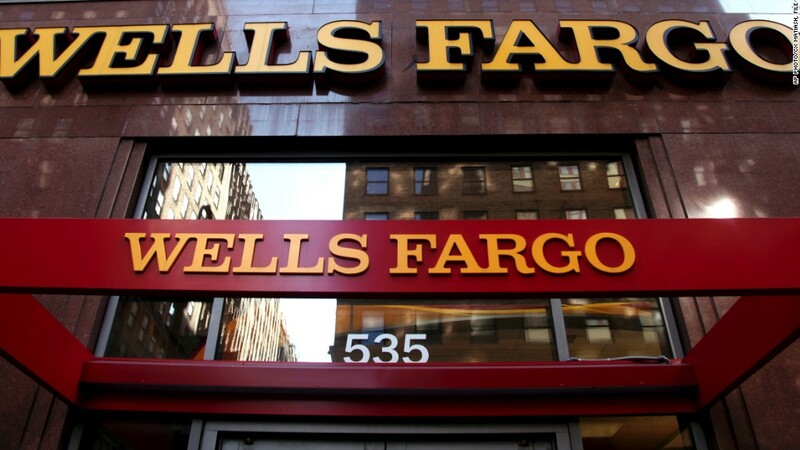 KBW analyst Brian Kleinhanzl warned in a report to clients that if Wells Fargo's account opening metrics don't improve soon, it could "force us to reconsider the long-term growth potential" of the retail bank.